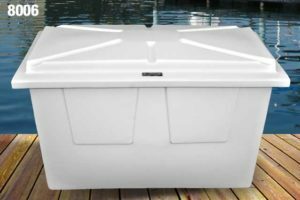 Boaters who wish to have a dock box installed, should complete the Dock Box Request Form and submit it with the required annual fee plus tax. The dock box will be installed by the harbor staff after payment is received. Please allow 10 to 14 days for installation. Please note that you will be billed for a dock box annually until you cancel it. Only a permittee on the account may apply for a dock box. Requests from persons not on the account will not be accepted. We are now offering two types of dock boxes, our original triangular dock box for $150.00 + tax or a larger rectangular dock box for $215.00 + tax. 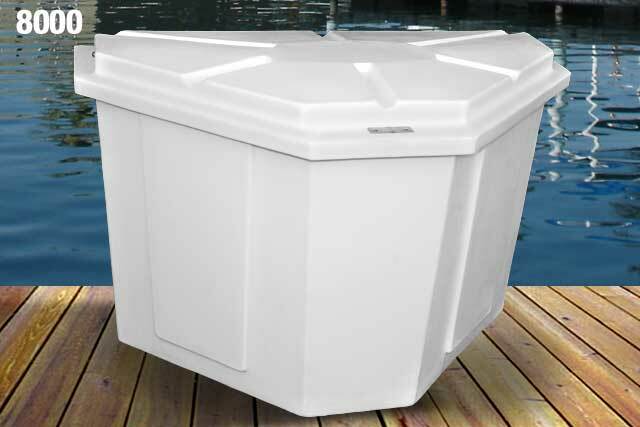 We are also offering the option to upgrade from an existing triangular dock box to a rectangular dock box. Please make checks payable to “Chicago Park District“. All major credit cards accepted. Or call our main office at (312) 741-3601. By submitting this form, I hereby agree to abide, by the rules and regulations of the Chicago Park District governing the use of harbors, and also to abide by all ordinances of said Park District. I further agree that the Chicago Park District shall not be held liable for any loss or damage, by theft or otherwise, to my boat or property while using a harbor or occupying any stall and in consideration of the permit so issued to me I hereby release the Chicago Park District of any claim by me for aforesaid loss, damage, or theft. I authorize a representative of the Chicago Park District to board the above boat at all reasonable times for inspection to determine it's seaworthiness, safety, and compliance of all Park District rules and regulations including the prominent display of a proper decal and compliance with the anti-pollution regulations.